Puzzles, fish and screensavers - what more could you want?! 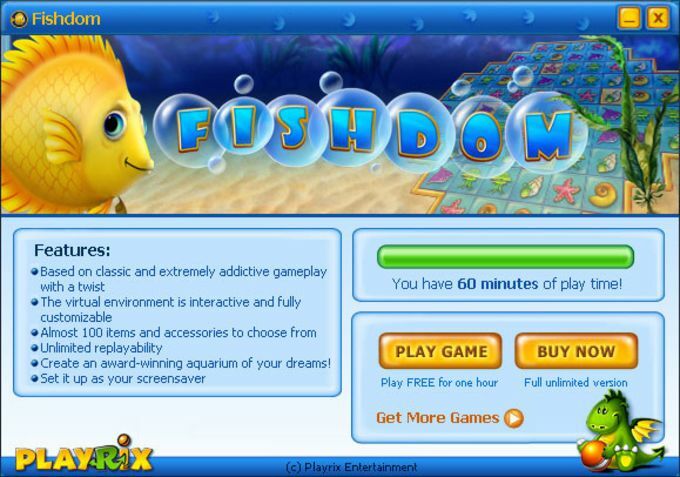 If you like puzzle games and fish tank screensavers, why not have both of them on your PC? 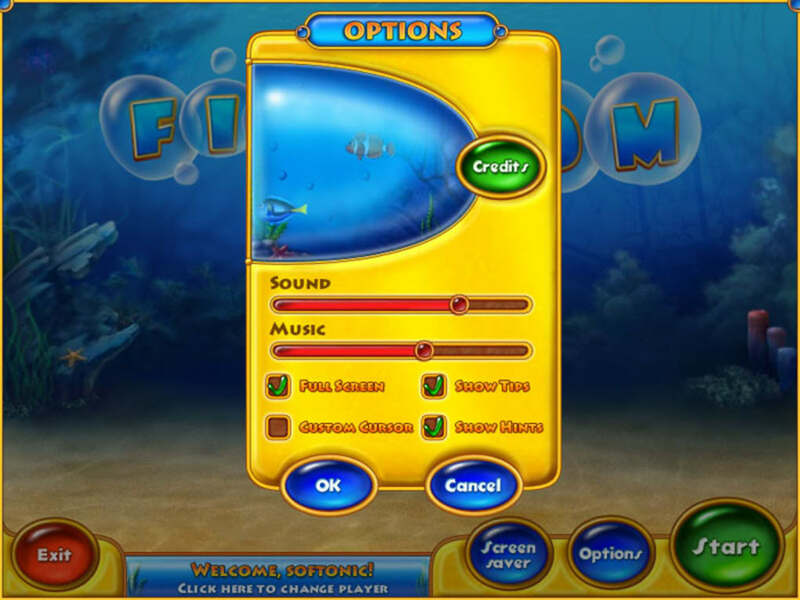 Now it's very easy with Fishdom. 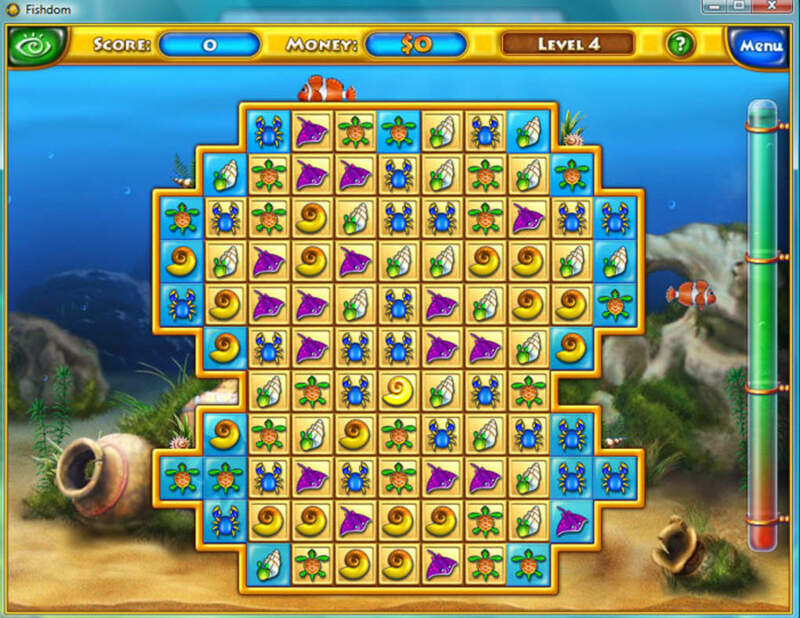 Fishdom is a colorful, addictive puzzle set under water, as if it was right inside a fish tank. Your aim is to arrange similar pieces in groups of at least three by swapping them with each other, so that they disappear from the screen. 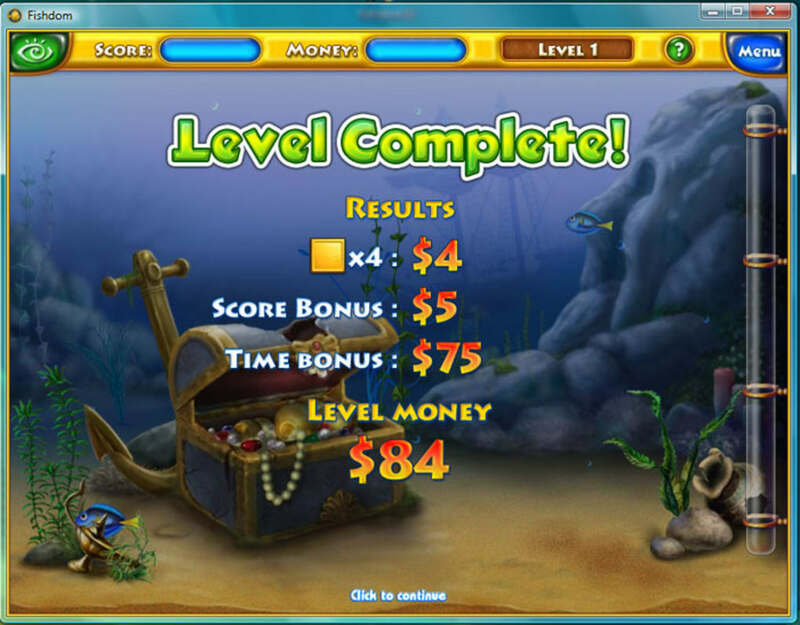 When all the golden-boxed pieces on the Fishdom interface are gone, the level is complete and you're given money as a reward. 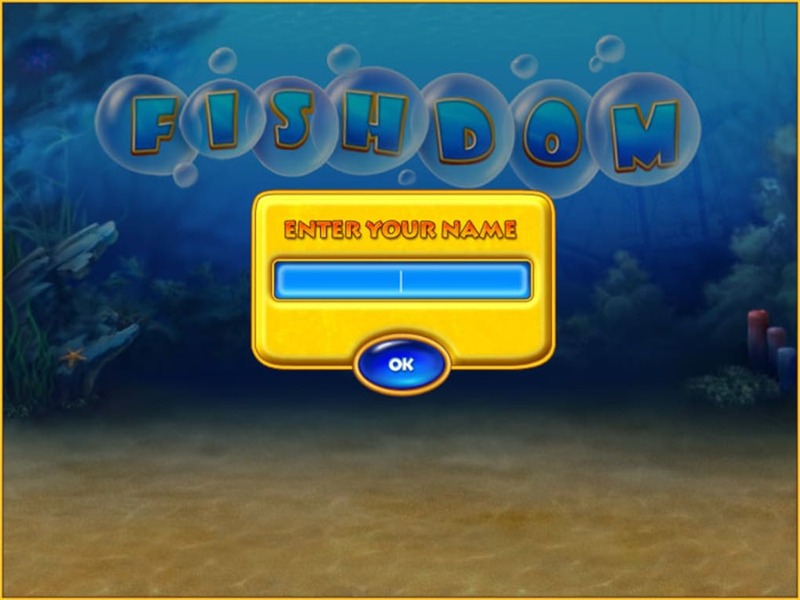 The most original characteristic of Fishdom is that it's not limited to being a game. Pause the game at any time and you'll be able to use it also as a cute screensaver for your PC, making your monitor look like a relaxing yet lively fish tank. 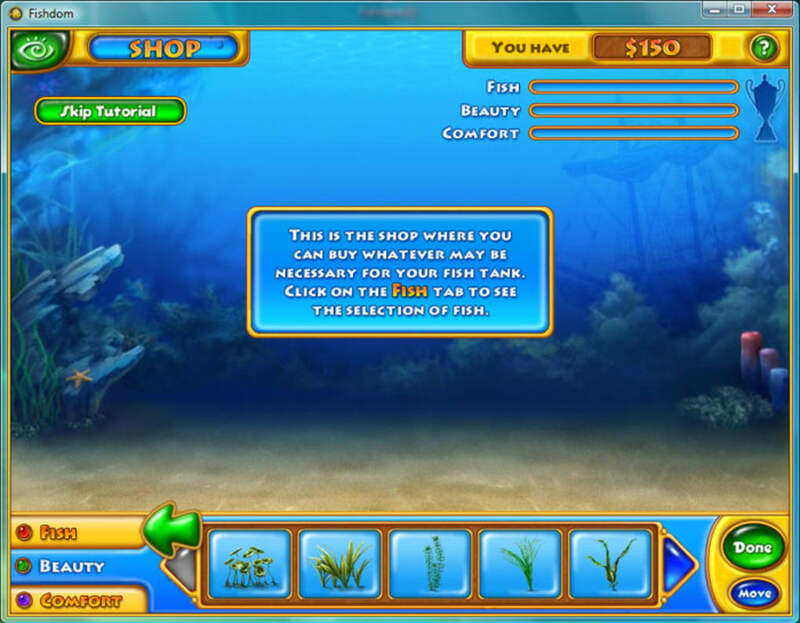 The Fishdom screensaver is easily customizable with fish, plants and other decorations that you can buy in the game's shop with the money you earn by playing the game. However, you'll need to be patient because getting a really beautiful fish tank will take a while! 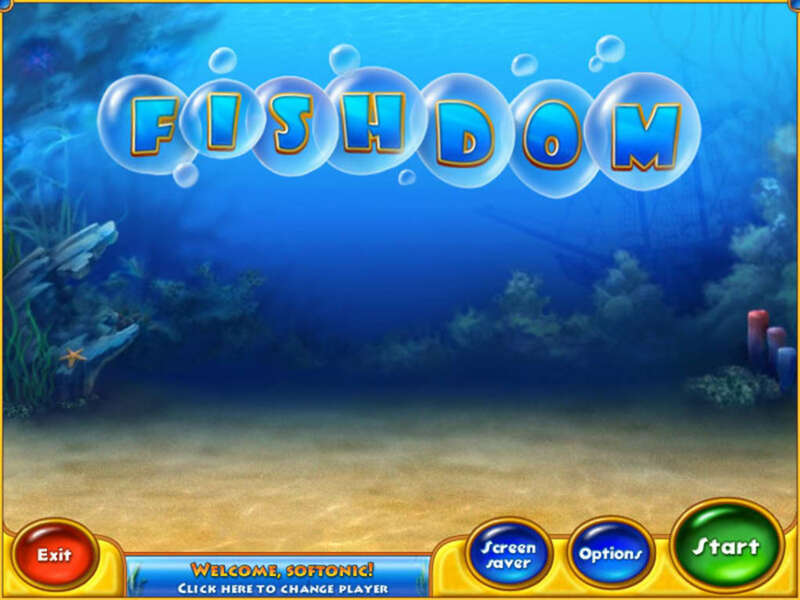 Fishdom is a very original and surprisingly addictive game which can also be used as a decorative fish tank screensaver. After reaching a certain level more add-ons need to be available. you need to expand items in the store. After getting to certain levels there is nothing new to save or strive for including new fish. The match 3 levels never got boring or tedious.